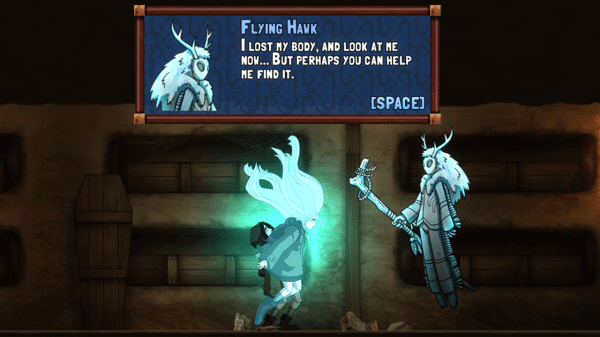 Once I heard that Whispering Willows was a horror/adventure game I was somewhat excited to see how much it could scare me. I don’t play horror games that often, because I’m a bit of a scaredy cat, so I was indeed a bit cautious, but after playing I can confirm this game is not at all a scary. At best it could be called creepy, but that is still stretching it. 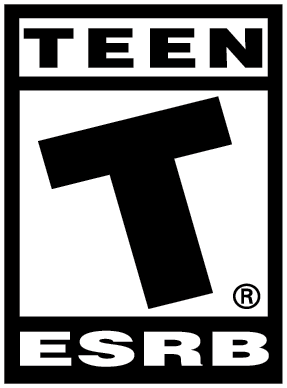 If you are looking for a deep and engrossing game, this isn’t it as it is more of a casual experience. 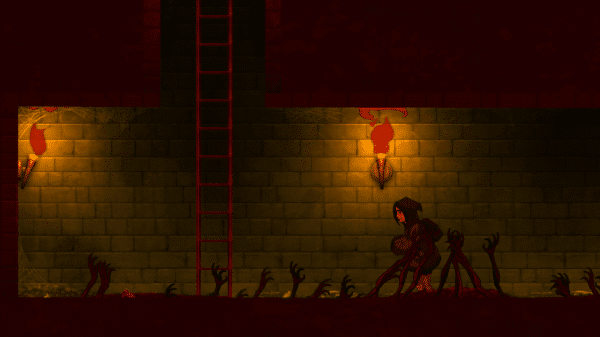 Running away from home to a mysterious mansion, you fall into the catacombs underneath while searching for your father. 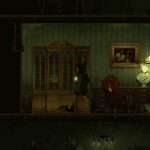 In this horror/adventure puzzle game you are placed in the shoes of Elena Elkhorn, a young female set on discovering the secrets of the Willows Mansion while trying to locate her missing father. Traversing the mansion and its grounds, lingering spirits will offer a helping hand as long as you help them move on from this world. 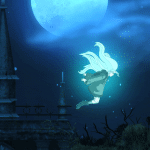 With a unique amulet handed down by her ancestor’s, it allows Elena to communicate with these spirits, and even project her spirit into their realm, to solve the puzzles in Willows Mansion. Whispering Willows has two stories; the first the story is in regards to Elena tracking down her father, and second story is in reference to the genocide of Native Americans. The story about the Native Americans is told through reading notes that you find littered around in the game. It was nice as it gave more insight on what was happening in this regard, but overall I found it just slowed down the game and I stopped reading them, as they didn’t help with solving puzzles. As for the story about Elena finding her father, as it unfolded it ended up being more about the lingering spirits you come across, how they died, and why they were stuck there. The story was great and it is the key feature to the game, but I feel like it wasn’t able to draw me in until three quarters of the way through. 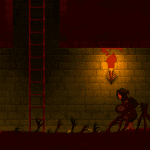 Propping up the story is the game’s character art. Each character’s you meet has clues as to how they died in their character design. I quite enjoyed this, as the characters looked pretty good, and they would often say something witty about their death that offered a nice chuckle now and again. But other than this the visuals as a whole were pretty straightforward. Overall it did a good job of setting a dark and ominous atmosphere but nothing stuck out or added that “wow” factor. Something else that I found fell flat was the majority of the gameplay. With basic mechanics the puzzles were mind numbingly easy. The hardest puzzles were in the final stretch, but this was simply because the placement of things had to be in an exact order for the door to open which just turned into a trial and error. When moving about as your spirit I thought the control was a little clunky as I consistently found myself getting stuck on the walls in small passages. As for the enemy A.I., it was more of an annoyance than anything else. 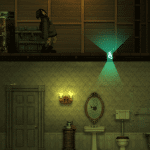 The majority of the game consists of going in and out of rooms and finding the object you need to solve puzzles. When you “die” you are sent back to the last door you went through which was somewhat annoying. You don’t “die” a lot but when you do and you’re sent back it’s just bothersome, especially because you can’t run when inside so you leisurely stroll back to where you met your untimely demise. 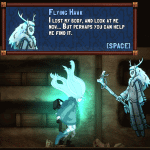 I have to admit, even amongst all the hiccups Whispering Willows can be an enjoyable game and I did have fun playing it at times. Although it was a quite typical adventure game it did have its moments. One thing you don’t see enough on the PS4 is the use of the speaker and light on the controller. Night Light Interactive did use these features and it added a nice touch. Having the light turn red when enemies were near, and some whispering sounds through the Dualshock’s speaker for when spirits wanted to talk, was effective. They did a tremendous job with the audio as a whole too, as the sound effects and music were solid. At the end of the day the question is: Would I recommend this game? I would have to say no. 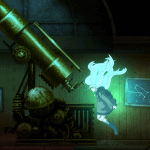 If you like puzzle or adventure games, Whispering Willows won’t have anything new to offer you. Its lack of critical thinking puzzles, basic mechanics, and inability get you invested in the story from the beginning make it a game hard to recommend. That being said, if you are looking something a little different this game might just be a good one to start with; however the game is short (I beat in two and half hours) for the price you pay and there is next to replay value.